Dr. Kate Williamson Lins is a graduate of the Ohio State University (BA, MA) and the University of Florida (AuD). She has practiced audiology locally since 1997. Dr. Lins has worked closely with ear, nose, and throat physicians, in hearing instrument dispensing clinics, and has been affiliated with Upper Valley Medical Center since 1999. In 2007, Dr. Lins and Dr. Rudy formed Upper Valley Hearing & Balance, Inc., and Dr. Lins is now proud to be the sole owner and managing audiologist of this growing practice. Dr. Lins is a Fellow of the American Academy of Audiology, certified by the American Speech Language and Hearing Association, and licensed to practice audiology by the State of Ohio. She is also a member of the Ohio Speech Language and Hearing Association. Dr. Kate Lins received the Troy Chamber of Commerce 2012 Outstanding Young Woman Award. Dr. Lins and her husband Doug are both graduates of Troy High School, and continue to reside in Troy with their four children. Dr. Lins is an active community volunteer and previously served as member of the Board of Trustees at both Overfield Early Childhood Program and Brukner Nature Center. She is currently serving on the Board of Limited Jurisdiction for Lehman Catholic High School, the Education Commission for St. Patrick School, and is an active volunteer with both St. Patrick Home & School and St. Patrick Alumni & Friends. 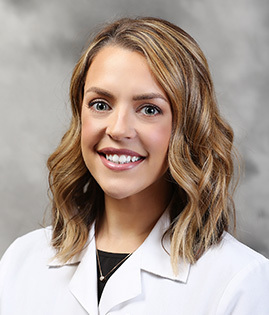 Dr. Mallory S. Mercer completed both her undergraduate and graduate careers at The Ohio State University, where she earned her Bachelor of Arts degree with Honors and Research Distinction in Speech and Hearing Sciences and her Doctorate of Audiology. Dr. Mercer spent most of her academic career as a Research Associate in the Early Development of Children with Hearing Loss (EDCHL) laboratory under Dr. Susan Nittrouer. 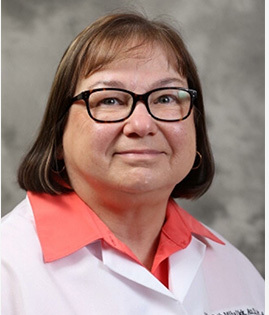 She completed her doctoral externship at the Dayton VA Medical Center, where she provided hearing and balance evaluations, as well as hearing aids and assistive listening devices to Dayton's veterans. Dr. Mercer and her husband, Troy, live in his hometown of Troy. Mr. Mercer works with his father in their athletic field contracting business, Mercer Group Inc. in Troy. They are members of First Presbyterian Church. Troy and Mallory have two young boys, Trenton and Thompson. Dr. Alison H. Bailey completed her undergraduate degree at Ohio University, earning her Bachelor of Science in Hearing, Speech, and Language Sciences. She completed her graduate degree at Kent State University, through the Northeast Ohio Au.D. Consortium, earning her Doctorate of Audiology. 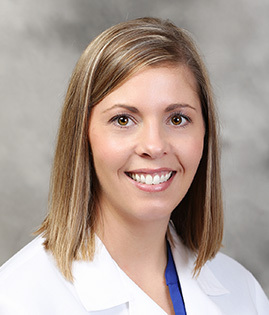 Dr. Bailey completed her doctoral externship at the Dayton VA Medical Center, focusing on providing hearing and balance evaluation, as well as hearing aids. Upon completing her doctorate, she worked with Southwest Ohio ENT Specialists for two years. Starting her career off with a large ENT practice gave her a wide range of experience in all areas of Audiology, including balance testing, diagnostics, and hearing aids and assistive listening devices. 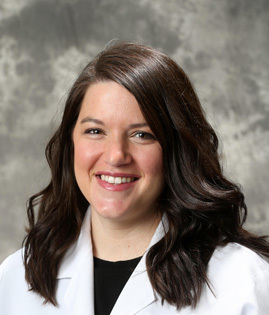 Dr. Bailey is licensed by the State of Ohio Board of Speech Pathology and Audiology, is a Fellow of the American Academy of Audiology, and is certified by the American Speech Language and Hearing association. Dr. Bailey and her husband, Andrew, reside in her hometown of Troy. Mr. Bailey is employed as an Engineer with Wayne Trail, in Fort Loramie. Andrew and Alison have a young daughter named Clara. 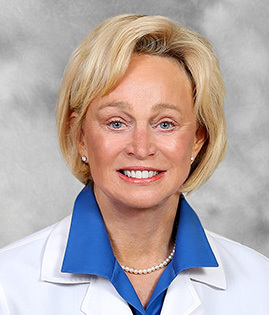 Dr. Jane Rudy, an audiologist since 1974, graduated from Miami University, the University of Maryland and the University of Florida. She began her career in hearing aid research in Washington D.C. before eventually moving to Troy in 1979 where her husband became the fourth generation in his family business. After nine years with Children’s Medical Center in Dayton, Dr. Rudy saw the need for comprehensive audiology services in Miami County. In 1988, she became the first audiologist to open a private audiology practice and hearing aid dispensary in Miami County. While caring for the hearing needs of local citizens, she has been privileged to be on staff at UVMC/Premier Health. In 2007 she expanded her practice to include Dr. Lins and together opened a new state-of-the-art office located at 31 Stanfield Place, Troy. Dr. Jane Rudy was the recipient of the 2009 Woman of Excellence Award. Dr. Rudy is a Fellow of the American Academy of Audiology, Board Certified by the American Speech Language and Hearing Association, and licensed by the State of Ohio Board of Speech Pathology and Audiology. She has published numerous articles in peer-reviewed journals and lectured widely on audiology issues. 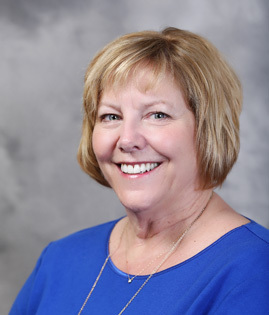 During her 44 years in practice Dr. Rudy has witnessed an evolution in her field and continues to be excited about sharing incredible advancements in diagnostic procedures and hearing aid technology with her patients. Dr. Rudy and her late husband have two adult children: a son, Evan, who is in global securities and investments in Chicago; and a daughter, Anna, a graphic designer, also residing in Chicago. Both are married and Dr. Rudy has three grandchildren. Jennifer has been practicing audiology locally since 1995 and joined Upper Valley Hearing & Balance, Inc. in 2016. 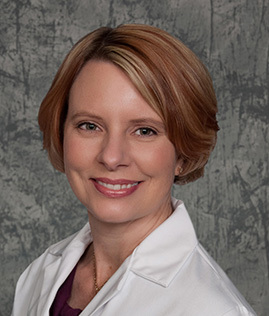 Throughout her career, Jennifer has had a wide range of audiology experiences including diagnostic testing, balance testing, and hearing aid services. Currently, she performs comprehensive audiological evaluations for our company. Jennifer graduated from Kent State University with her Masters in Audiology. She is licensed by the Ohio Board of Speech-Language Pathology and Audiology and is a certified member of the American Speech Language Hearing Association. Dr. Mary Beth Mihalick has been practicing audiology in the area for over 23 years. She received her Bachelor of Science Degree (BS) from Ohio University, her Master’s Degree in Audiology (MS) from Minot State College and Doctorate in Audiology degree (AuD) in 2006 from the Arizona School of Health Sciences at A. T. Still University. Dr. Mihalick is a member of and certified by the American Speech Language and Hearing Association. She is licensed in audiology by the State of Ohio. She is also a member of the Ohio Speech, Language Hearing Association and Ohio Academy of Audiology. She has previously served on the Ohio Hearing Aid Dealers and Fitters Licensing Board. Dr. Mihalick moved to the Dayton area in 1993 where she worked as an Audiologist at Southwest Ohio ENT Specialists. Her specialty was working with implanted hearing devices such as the cochlear implant and bone anchored hearing aids (Baha). She will be available for programming of all Cochlear Americas devices in our office. 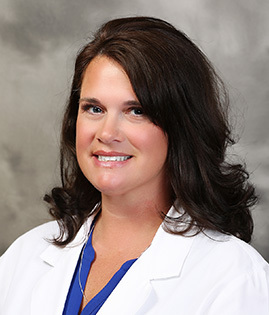 Dr. Stacy Roberts attended The Ohio State University, where she earned both her Bachelor of Arts in Speech and Hearing Science and her Doctorate of Audiology. 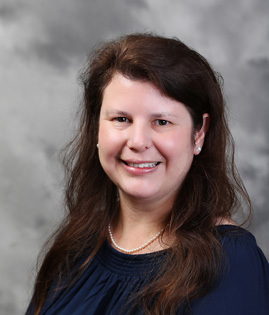 Dr. Roberts completed her doctoral externship at the James H. Haley VA Medical Center in Tampa, FL. During her time at the VA, she not only provided hearing healthcare for veterans and their families, but also participated on an interdisciplinary team addressing traumatic brain injury in active duty service members. Dr. Roberts returned to her home state in 2013 and prior to joining Upper Valley Hearing and Balance worked locally at a private practice focusing on diagnostics, hearing aids, assistive listening devices and aural rehabilitation. 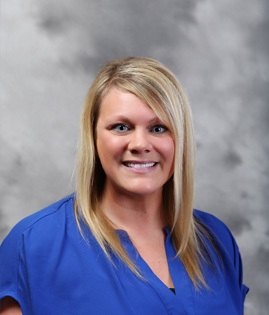 Dr. Roberts is licensed by the State of Ohio Board of Speech Pathology and Audiology. Dr. Roberts and her husband, Matt, reside in Vandalia. They are proud parents to a daughter, Kailyx, and a son, Colton. Roberta Schroeder, Upper Valley Hearing & Balance Inc's billing manager, has been working in the medical field for over 30 years. She has experience with all aspects of management including scheduling, billing, insurance contracting, remittance, and office policy. Most recently Roberta has been certified as an Audiology Aide by the Ohio Board of Speech Pathology and Audiology. Besides providing exceptional practice organization and flow, she brings outstanding compassion to all areas of patient care. Roberta has been a lifelong resident of Troy, Ohio. She holds an Associate's Business degree from CBU. She and her husband have three grown daughters: the youngest living in Chicago and the other two living in Cincinnati. They have six grandchildren. Roberta is an active member in the First Presbyterian Church. Chrissy has been in the hearing and ear, nose and throat field for 20 years. She started in an Ear, Nose and Throat practice assisting the doctors with surgery scheduling and continued training to assist with procedures and patient care. She eventually became the Practice Administrator. During that time she was also trained to troubleshoot hearing aid problems and became an Audio Tech. She has had a variety of opportunities to learn about patients with hearing loss. Chrissy says she has enjoyed watching patients become social again and communicate with spouses, family and friends. She continued in the hearing field as Practice Administrator with Upper Valley Hearing & Balance. Her responsibilities include scheduling, performing data entry and processing. She also implements office policies and procedures, as well as overall basic maintenance and minor repairs of hearing aids. Chrissy has 2 children, a 12 year old son Evan, and 10 year old daughter Leah. She enjoys finding adventures in nature, watching sports and traveling with them. Barbara Summers completed her undergraduate degree at the University of Cincinnati, earning her Bachelor of Science degree in Speech-Language Pathology. She began her graduate degree at the University of Toledo. Her career began by working as an executive assistant to a CEO for a company in Dayton. It was after years of beginning a successful business career, that she decided to begin to raise her family and proceed to homeschool her children until they were ready for high school. She is re-entering the professional office environment with her software skills and organizational knowledge. Barbara and her husband, Paul, reside in Troy with their two children, Mark and Hannah. Barbara is an active volunteer in her church and community, sings in the church choir, and serves on her children’s scouting program committees. A favorite new responsibility is her involvement as the Senior Representative for the Troy High School Varsity football team – Go Trojans!